BEIRUT: The Lebanese Forces and Kataeb Party remain firm allies, the leaders of both Christian groups said Thursday, dismissing rumors of a rift between them. They also insisted that their alliance would not be shaken by LF’s rapprochement with the Free Patriotic Movement. 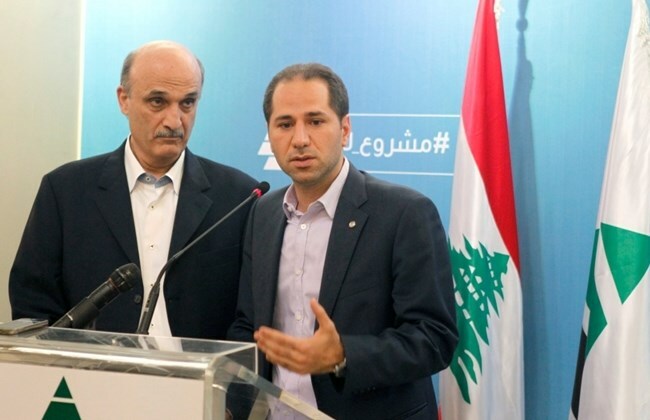 “We agree on 99 percent of matters in terms of political vision and agenda,” LF leader Samir Geagea said in a joint news conference with Kataeb’s newly elected chief Sami Gemayel. Gemayel, in turn, expressed support to any rapprochement between Lebanese political groups, especially between Christian parties. He hoped that all “personal ambitions and partisan interests” would be put aside to find an exit to the country’s political crises. Geagea explained that the FPM-suggested poll to determine the most popular presidential candidate is not an official referendum, but rather a poll that does not require government approval.